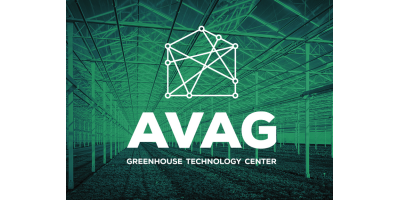 AVAG is the association of the Dutch greenhouse construction and technology. We represent the common interests of our members and support them in the areas of quality, innovation and internationalization. The Netherlands is a globally respected supplier of integrated growing systems, components and associated services. The AVAG affiliated companies sucessfully export their products worldwide and form the basis of years of experience and knowledge that has become invaluable for the industry. Suppliers that are member of AVAG are known for quality solutions tailored to market and climate. Another important role of these meetings is that it enables AVAG members to meet. The establishment of internal networks of members as well as external networks including other organisations is one of AVAG's key tasks. The quality and quality promotion of the Dutch glasshouse industry have always been important aims of AVAG. The participation of AVAG in the realization of the Dutch and European standards for glasshouse constructions clearly indicate this. AVAG also contributed to the realization of the Dutch quality directive for water- and fertilizer units in horticulture. The possession of a quality certificate is one way for a company to show its quality policy. Several AVAG members have an ISO 9000 certificate, which says a lot about their quality level. However, ISO 9000 is not specifically aimed at the glasshouse industry or horticulture. There is one quality certificate that was especially developed for the glasshouse industry. This certificate is awarded by SENK, which is the Dutch acronym for 'Foundation for the Recognition of Dutch Glasshouse Builders'. SENK was founded in 1997 and its aim is to promote the quality of the Dutch glasshouse industry. SENK and AVAG are working in collaboration since 2001. At first SENK was aimed at exporting glasshouse builders but at the beginning of 2004, AVAG and SENK reached an agreement about an important extension of the scope of the SENK certificate. The certificate will also be available for companies who are operating on the Dutch market only and for installation companies, provided of course that these companies meet the requirements to earn the certificate. The extension and adjustment of the SENK certificate will take some time but when it’s ready this means an important impulse for the quality of the sector. AVAG is an association within the meaning of the Netherlands Civil Code. As such, it has legal personality. The Articles of Association, last amended in 1998, have been laid down in a notarial deed and a new amendment is underway. With a view to improving meeting efficiency, AVAG has established three workgroups, each one of which specialises on a specific area; glasshouse construction, fitting techniques, export. The chairpersons of these workgroups are Board members specialised in the relevant field. The workgroups discuss issues relevant to their field. General subjects beyond the scope of the workgroup are addressed by the general meeting. Policy is determined by the association's highest body (i.e. the general meeting) and implemented by the Board. Board members are appointed by the general meeting for four years. The chairperson's term is two years.